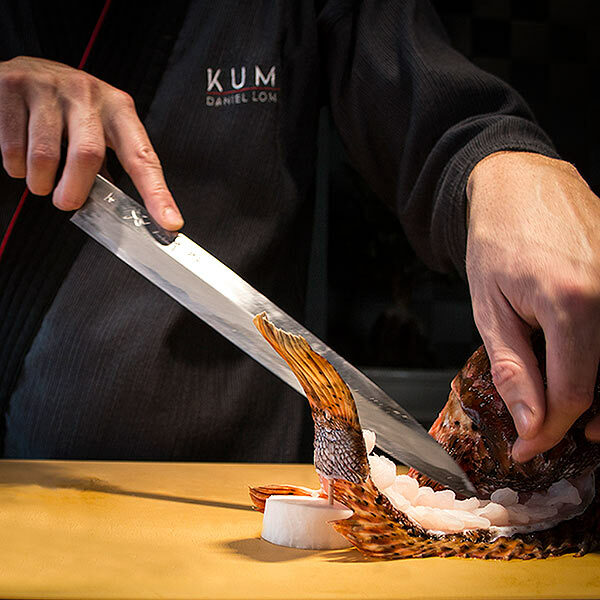 KUMA is a project that began years ago from Daniel Lomana´s passion for Japanese cuisine, after visiting Madrid, Tenerife, Japan and London and surrounding himself with the best specialists in this field. That explains his effort to take care of every detail and make this kitchen as exquisite as it requires. The combination of his expertise, simplicity and imagination, and natural products of the highest quality , arise the most amazing dishes; either for its taste, as well as for its elegant presentation. KUMA’s philosophy is take care of every small detail, bringing originality, and respecting the highest quality, creating flavors and sensations that never leave you indifferent.